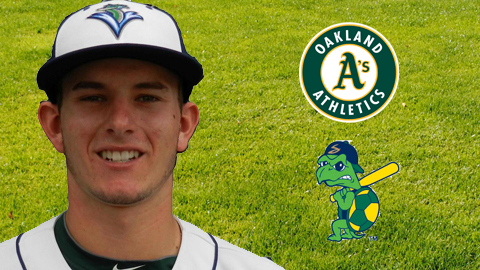 BELOIT, WI - The Oakland Athletics have announced that 2012 first round draft pick Daniel Robertson will be joining the Beloit Snappers. Robertson, an infielder, was selected by Oakland with the 34th overall pick in the 2012 draft out of Upland High School in California. He entered the 2013 season rated as the A's No. 7 prospect, according to MLB.com. Robertson spent last season between the Arizona League Athletics and the organization's short-season A-ball affiliate, the Vermont Lake Monsters. He batted .241 on the year with five homers and 30 RBIs. His season included a 5-for-5 performance with a pair of homers, four RBIs and four runs scored on July 12th while he was with the AZL A's. Robertson is a native of Upland, California. He batted .560 with six home runs and 31 RBIs in 27 games in his senior season in 2012 before being drafted by the Athletics.